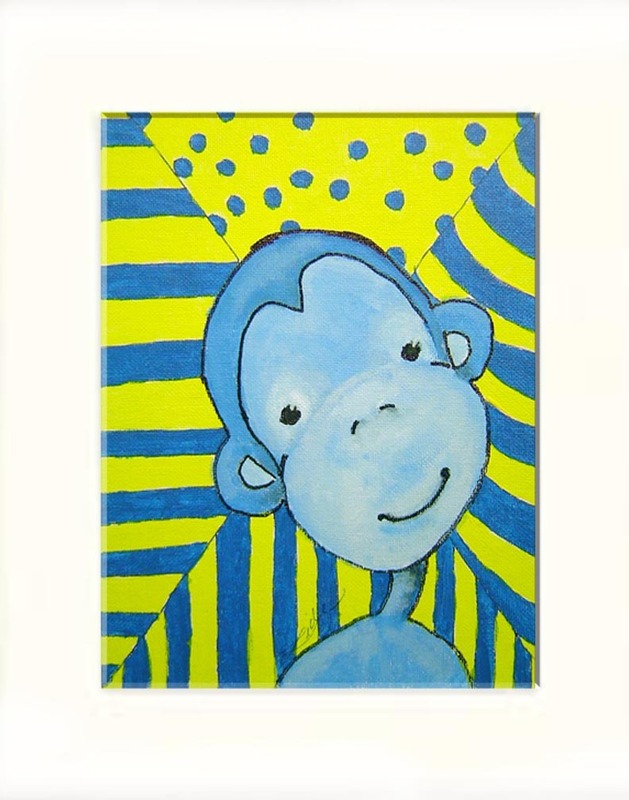 Funky blue monkey with yellow stripes. This adorable little monkey would make any child smile. Original hand painted in acrylic on canvas board. Available as a print - 8" X 10" - matted in white. Original art ï¿ Janie Thompson-Lide. The artist retains copyright to all works. Copyright is not transferable with sale. Reproduction without written consent is strictly prohibited.